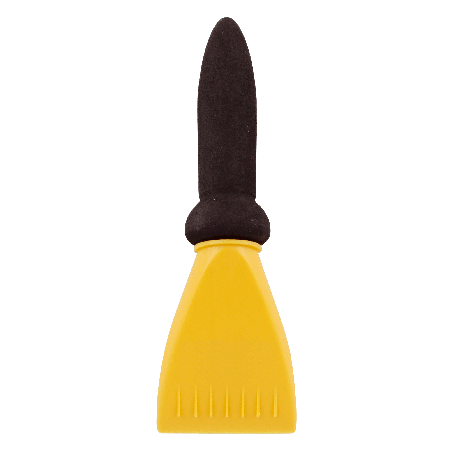 Plastic ice scraper Softy with soft rubberized handle. Available in red, yellow, dark gray or blue, dimensions ca 230 x 75 mm, max. Printing area 30 x 40 mm. Prices include one colour printing and set-up costs!